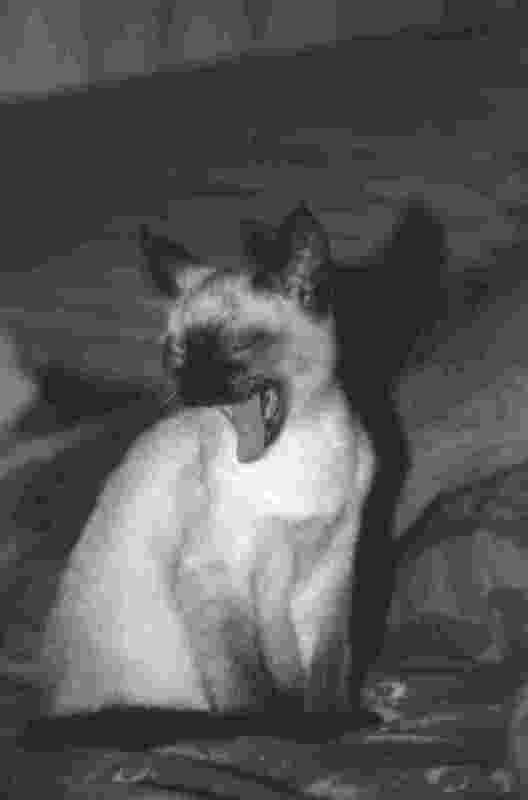 I was born in March 15, 1989, Siamese race , my father was " seal point" also my mother was rather " blue point", they are terms used to indicate appoint the color of our coat. It's me when I had only some months!! 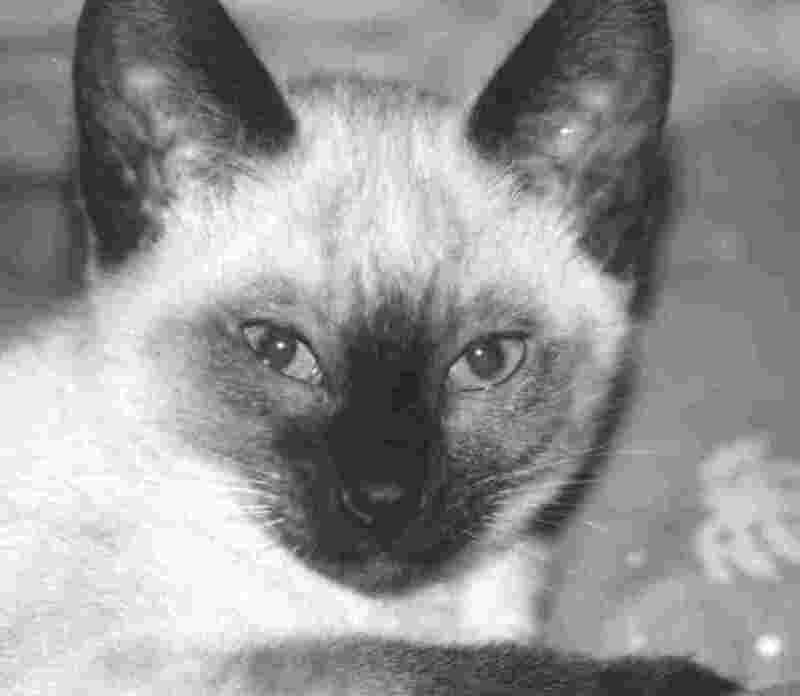 I stayed the only cat at home until November 8, 1997, this day symbolizes Mistura's arrival . I often went to holidays and I like that very much, because I am curious to discover new places, I walk every day in my bag of transport, I receive caresses during the walks, people seem surprised and nevertheless I am only a cat in holidays. So I went to Italy several times, in Portugal, in Bretagne several times also, you can discover photos at "visited places. Mistura is much younger than I, she is very beautiful also, her coat is lined crossed off with black spots as lynxes. She was abandoned when she had hardly three months, for her it was very hard, she is still often very afraid and I try to reassure her and to teach her the good manners. She did not yet come in holidays with me, this year we are going to make our escapade first together..